Born and raised in Bucks County, Matthew Merwin has spent most of his adult life in the Pacific Northwest, before returning to Bucks County few years ago. Interested in the arts from an early age, he first sculpted while at Solebury School in New Hope, PA working with metal sculptor, Henry Lindenmeyr. In his latter years at Solebury, Matthew developed a strong fascination with the Didjeridoo, an ancient Australian wood-wind made from a log naturally hollowed by termites. At the time the instruments were hard to find in the states, so he began making his own variations, thus beginning his self taught exploration in woodworking. Using froes and wedges Matthew would split a small tree in half, carve it out and glue it back together. A technique that he applies regularly in his sculpture. In 1997 Matthew moved to the South Puget sound region of W.A state were he became involved in the salvage logging and specialty wood industries. 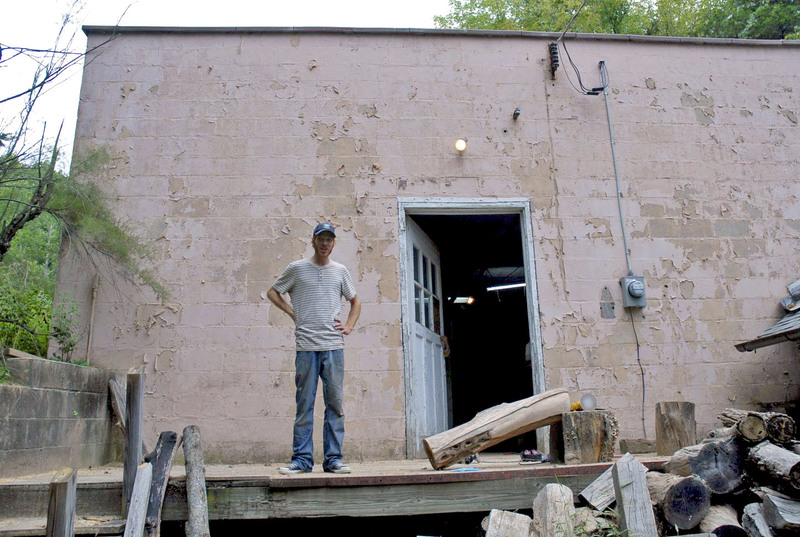 Matthew supplemented his income by bringing home scrap, surplus and rejected lumber, to fuel his own furniture and craft business. On visits home from the northwest Matthew develop a strong friendship with New Hope artist Tom Galbraith. With Toms guidance and influence Matthew began putting more and more focus on sculpting. In 2009 he moved back to bucks county and spends as much time as he can in his large studio outside New Hope. 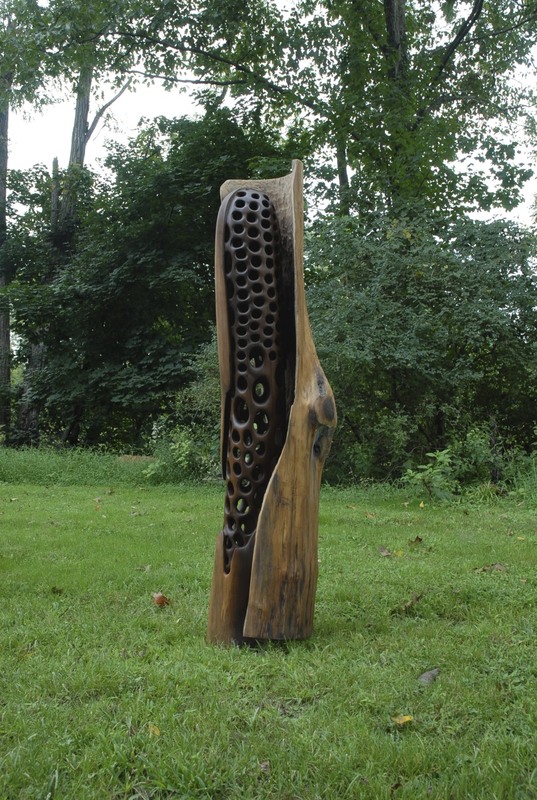 In the few Years Matthew has been showing in bucks county, he has got much support and recognition from other local artist, and his work has started receiving awards.